In the world of business, having a business credit card is almost a requirement to run a company. Many businesses have direct pay or wire agreements with some of their vendors, but for almost every other kind of purchase it has to be a credit card. Just like the consumer market, several companies offer special cards with perks and interest rates just for businesses. Global businesses may have thousands of corporate credit cards being used at any point in time, but for small business owners a few cards will do the trick. Even though business credit cards are extremely common and are all but required to stay in operation, the same pitfalls that consumers fall victim to are in play. Beyond managing credit limits, interest rates, payments, and fees, businesses have to supervise the use of multiple cards by multiple people and meticulously monitor the individual expenses. Of course, there may be times when a credit card is not the best solution, or where a different loan or financial product will be less expensive and easier to use. This may not always be clear. Even many of the research tools available are from various financial services companies that are trying to sell business owners on one kind of card or another. So let’s take an honest look at how business cards really differ from personal cards, who they’re good for, and some of the risks involved with their use. Credit Limit – The amount of credit available to business owners is typically much higher than the credit that consumers are able to wield at any given time. The reasons for this vary, ranging from the fact that businesses usually have more cash flow than individuals to the reality that most businesses need credit cards that will help them accommodate larger purchases. Perks – While you and I may be interested in how many frequent flier miles or cash back we get when we swipe our consumer credit cards, businesses are on a different level entirely. Many business credit cards offer rewards like phone, internet, or office supply rebates that are valuable to companies that use these things to a high degree. Some do still offer the typical cash-back rewards, some of which can be very helpful for businesses that use cards for most day-to-day purchases. 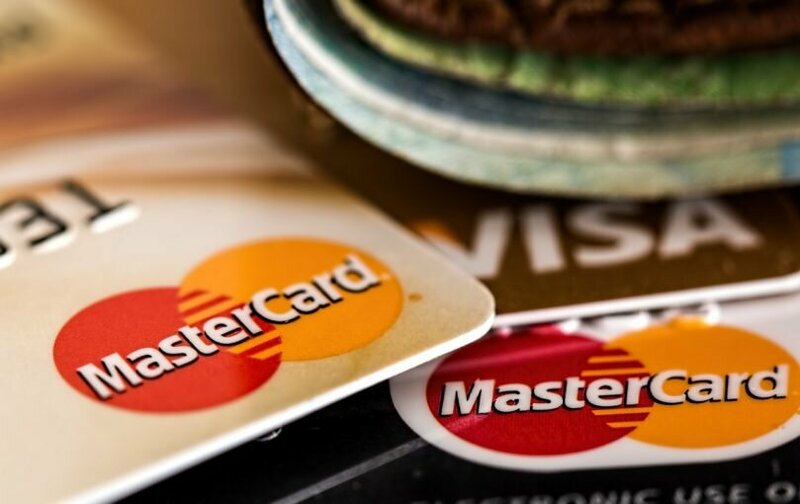 Credit – When an individual applies for and uses a credit card, their personal credit scores are being used and are subsequently affected by how they use the card. Business credit cards may also use personal credit scores for a business owner during the application process, but they also rely on business credit scores to determine the limits of the cards. If payments are missed or business credit cards are used irresponsibly, the business owner’s personal score may be hurt as well. That’s not a comprehensive list, but the general theme is that business credit cards can be a great financial tool for companies of all types and sizes. User accountability – Once a credit card has been bestowed upon an otherwise unassuming employee, they may feel like they have unlimited purchasing power. This is a dangerous thing and can lead to some nasty consequences for both the business and the person swiping the card. It’s important to have a bulletproof, iron-clad spending policy on business cards, especially for employees that use the cards for travel and rack up multiple expenses on a regular basis. Making the user aware of their limitations ahead of time and enforcing the rules consistently in your company will prevent unwelcome surprises down the road. Responsible use – Credit cards aren’t inherently dangerous but can cause major damage if used recklessly. Just like using a personal card for frivolous purchases or using the card to finance items that are better purchased in cash, a business card’s balance can grow quickly if not used responsibly. A business credit card may also be used to bridge gaps in revenue during slower times of the year or in between big contracts but should not be used as a substitute for income. Interest rates – Business credit cards usually carry much higher interest rates than other business loan products or lines of credit. In some cases, a line of credit or standard term loan might provide a more cost-effective way to access funds for business use, but those products have their own limitations and may not be as readily available. Business cards may also have an interest rate that fluctuates more wildly than consumer cards, based on how the card is used and how payments are made. Protections – Business credit cards may not have the same level of protections that consumer cards do. Some card companies may not offer the same types of dispute or purchase guarantees or may charge a fee to promise those protections. Consumer protections don’t always apply, so it’s important to understand what your rights are as a business owner. As with any financial product, it’s important to have done research to understand the risks and limitations involved with using a business credit card. Shopping for the best deals and best rewards may only be part of the story, especially since many people may be using the cards. By researching, shopping around, and setting a concrete credit card policy for everyone in your company, a business owner can help ensure that the cards are used responsibly and benefit the company as a whole. Mr. Kelly is a 20-year veteran in online business and financing. He has consulted some of the top brokerages, media companies and financial exchanges in the area of finance, online marketing and content management including: The New York Board of Trade, Chicago Board Options Exchange, International Business Times, Briefing.com, Bloomberg and Bridge Information Systems and 401kTV. He continues to be a regular market analyst and writer for ForexTV.com. He holds a Series 3 and Series 34 CFTC registration and formerly was a Commodities Trading Advisor (CTA).He was also a licensed Property & Casualty; Life, Accident & Health Insurance Producer in New York State. In addition to writing about the financial markets, Mr. Kelly writes extensively about small business marketing and finance. Mr. Kelly has been a decades-long community volunteer, he established the community assistance foundation, Kelly's Heroes. He has also been a coach of Youth Lacrosse for over 10 years. Prior to volunteering in youth sports, Mr. Kelly was involved in the Inner City Scholarship program administered by the Archdiocese of New York. Mr, Kelly was Sr. VP Global Marketing for Bridge Information Systems, the world’s second largest financial market data vendor. Prior to Bridge, Mr. Kelly was a team leader of Media at Bloomberg Financial Markets.